After leading more than four years of growth at the Cascade Forest Conservancy (CFC), I will soon take on a new role at Social Venture Partners Portland, a local nonprofit that builds the capacity of other nonprofits by investing human, social, and financial capital. In February, CFC will begin a hiring process to find a new executive director, and I will remain highly involved throughout the transition. 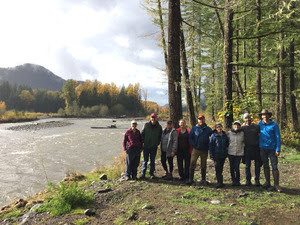 When I joined the Gifford Pinchot Task Force in 2014, I became part of a growing movement to conserve the beautiful and unique resources of the Gifford Pinchot National Forest. We set off to create a new strategic plan based on science and focused on addressing climate change, watershed health, and connecting people to nature. We developed a new name and brand for our group, and people responded. Today we are the Cascade Forest Conservancy, with more than 12,000 members and volunteers. Since 2014, our organization has doubled in size, and we have a solid team of professionals on our staff and board. We have launched bold new conservation programs and established new standards for sustainable timber management, water quality, and wildlife health. Thank you for your help in making all this possible. It has been an honor to work with you and the CFC team. Please continue to support us as we approach this next stage of growth for Cascade Forest Conservancy! 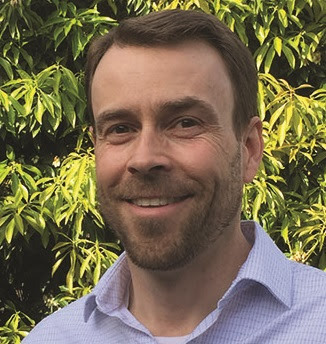 On behalf of the board of the Cascade Forest Conservancy, we want to thank Matt for his great success in taking our organization to new heights and helping us to bring in so many new members, donors, and volunteers like you. We are sad to see Matt go, but know that his talents and heart for service will be used for the greater good in the region. We wish him all the best. Matt will continue to stay involved with day-to-day operations at CFC as Executive Director while the Board of Directors initiates a nationwide search for his replacement. Matt has graciously agreed to play a dual role for SVP and CFC during this transition period, and will work closely with the new hire to provide training and a smooth handoff of responsibilities. Be assured that all CFC programs will continue to operate and grow as planned in our strategic plan (available online at https://cascadeforest.org/about-us/strategy/). CFC will continue offering amazing events and opportunities for you to engage with us during this upcoming field season. Mount St. Helens and the surrounding areas impacted by the 1980 eruption are a Pacific Northwest icon. The impact of the eruption, and the recolonization of plants and animals in the decades since, has created a unique environment that is treasured throughout the world. Since our founding in 1985, Cascade Forest Conservancy has worked to protect the Mount St. Helens region from activities that would harm this irreplaceable landscape. Currently, our work near Mount St. Helens involves continuing to fight a hardrock mining proposal on the Mount St. Helens National Volcanic Monument Border, and opposing an administrative road across the heart of the Pumice Plain. 2018 ended with some disappointing decisions from the Forest Service and Bureau of Land Management on these projects. In November the Forest Service released a draft decision notice authorizing an administrative access route across the Pumice Plain. This route would drastically impact the ecology and scientific research on the Pumice Plain. Cascade Forest Conservancy, researchers, and concerned citizens submitted objection letters to the Forest Service during the objection period, which ended on December 21. We are now waiting for the Forest Service to respond to our objections, which may be delayed due to the federal government shutdown. Stay tuned for our 2019 volunteer trip list, coming out in February!